Address: 671636 Republic Buryatia, Kurmukansky r-n, pos. Maysky, Lenina st., 1. Zapovednik Dzherginsky, in the northern part of the Republic of Buryatia, was founded in 1992, its area is 237,8 thousand ha. 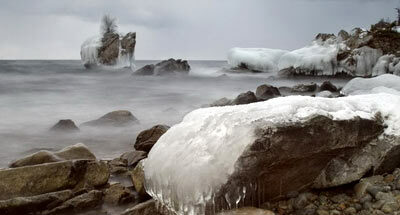 It is located in the upper current of the Barguzin River. 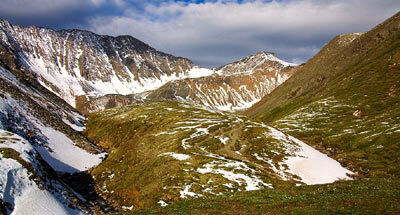 The relief is mountainous with a maximum height of 2840 m above sea level (on the Barguzinsky Mountain Ridge). More than 75% of the area is covered with forests. Plants are defined along different height belts. From 500 till 1000-1200 m is spread forest steppe, formed of birch and larch forests, which is mixed with steppe sites of pine and aspen forests. 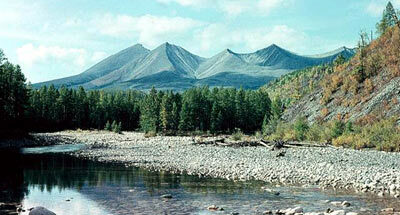 Higher up mountain-taiga forests are located where larch forests with some birch, cedar and pine dominate. These turn at higher altitudes into light larch forests, pine-larch and pine forests, which give way in their turn to elfin cedar thickets. Alpestrine glades and bogs with springs are met. Fauna includes taiga, mountain-taiga and insignificant numbers of steppe species. There can be found within the Park elk, musk deer, roebuck, wild boar, Siberian roe, and, rarely; reindeer. There can also be met wolf, fox, brown bear, lynx, and also occasionally skunk bear. Squirrel, mouse-hare, chipmunk are numerous; sable is usual. Of bird species can be met wood grouse, hazel grouse, black grouse, Accipiter gentilis and sparrow hawk; in inundation zones there live mallard duck, pintail, goldeneye, some species of surfbirds and gulls, and the common heron. In the rivers there live: taimen, lenok, Siberian sturgeon, and Arctic Cisco.